Fishing this week has been very good for both salmon and sturgeon, a few more Coho showing up and we managed to land a few Chinook as well. The Pink run is almost over but there are some fresh fish still moving up the river. 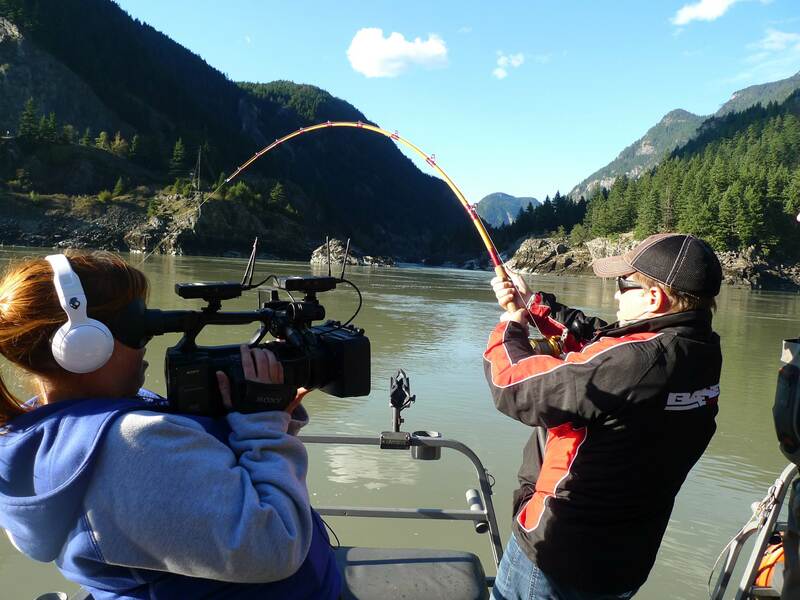 We fished the canyon with CFL Star Chris Burns and x Vancouver Canauck Cliff Ronning, See below for detailed report. We filmed with BCO Outdoors Sportfishing Adventures this week with host Chris Burns and Special Guest NHL Star Cliff Ronning, caught some nice fish, can’t wait to see the show. 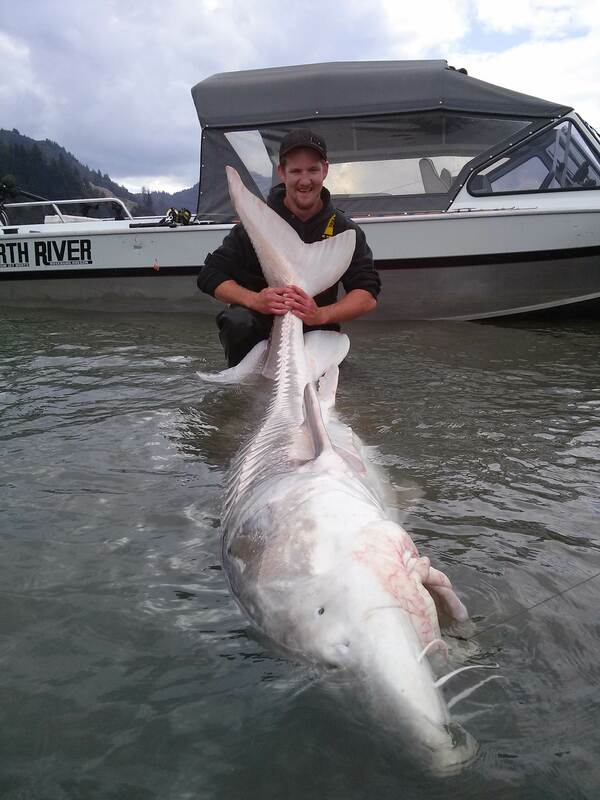 Sturgeon fishing has been excellent this past week, lots of big fish being caught, Yesterday STS Guide Braeden Szlabon landed his biggest fish of the season measuring 8ft 9 inch with guest Aiden Grinde and friends. Rob, Tom, Thomas Doug and the rest of the guys are also landing big fish on a daily basis. Best bait right now is pink salmon eggs and belly strips are picking up the odd fish. 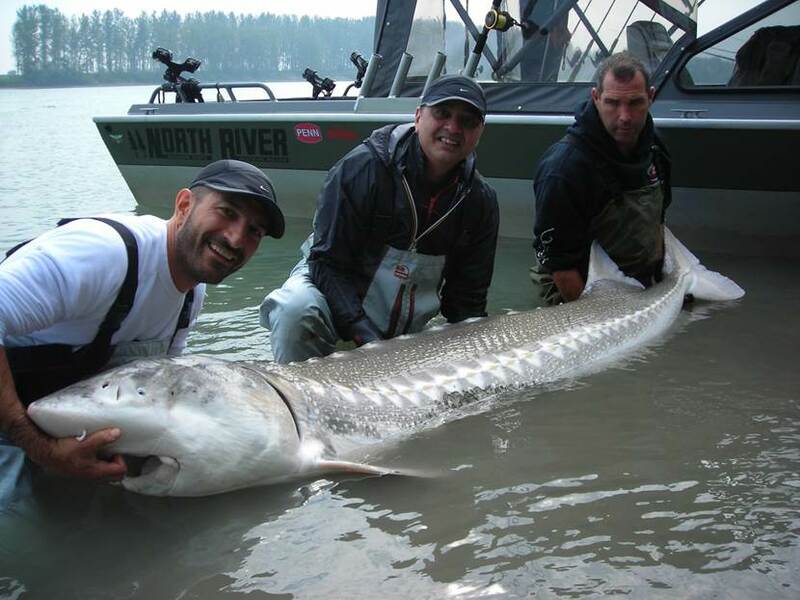 8ft 9 inch with 51 inch girth, wow what a great fish. Salmon Fishing on the Fraser is going to be difficult this week due to all the rain, water has gone dirty on the Fraser with mosat tributaries looking the same way. If the rain stops it won’t take long to clear up but if salmon is what your after, the Harrison but be your best bet. We saw a really good push of Coho move through the Vedder this past weekend with some very nice hatchery fish being caught. 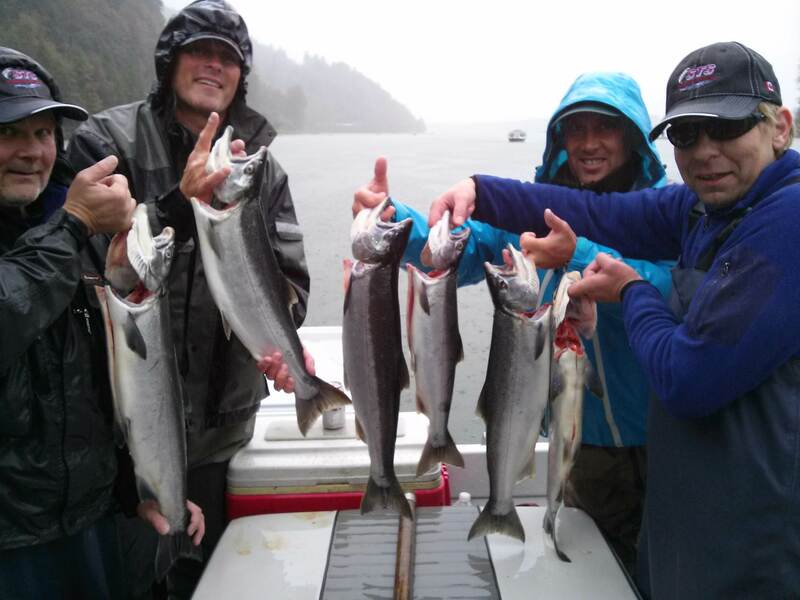 Our guest from Holland have been putting the hurt on Coho this week, great job guys. For those of you looking to target Coho, fishing the tides is very important, the incoming is your best so be in your hot spot well before the tide starts to push in. We have been having ourt best luck on Gibbs Colorado Blades and Gibbs/Delta Ultra Lures. Slow retrieve is the key so be sure you take your time on the retrieve. A few Chinook showing up as well although we have not been tarageting them that much this week. Look for the Harrison River to turn on in the next week as this should be the peak week for Harrison bound Chinook. With dirty water and rain, the Harrison should remain in good shape. 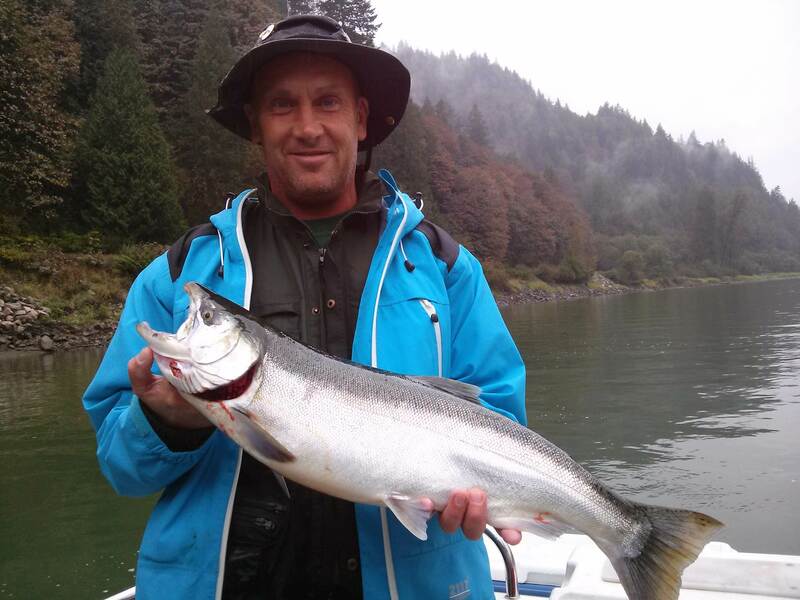 Once the Vedder and Chehalis clear up the Coho fishing should be on fire. We still have lots of great fishing to be had, we will be on the water daily until end of November so please give us a call if you would like to fish with onhe of our pro guides. I will leave you with this excellent picture taken by Oilver. Have a great week, and see you on the water. 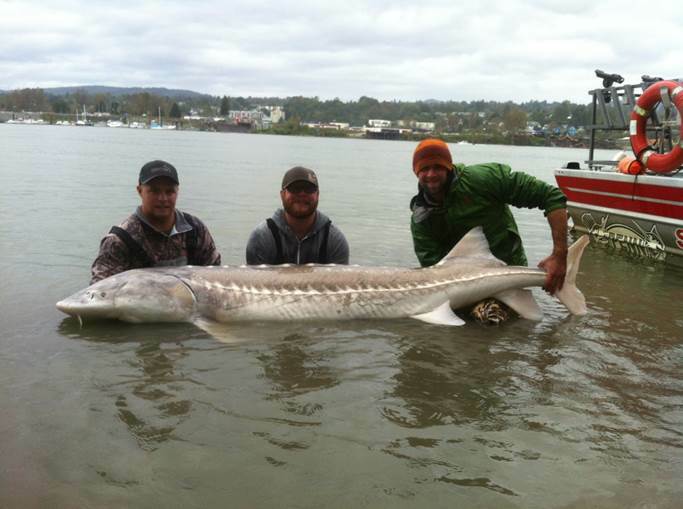 You are currently reading Sept 30 Fishing report Update at Hells Gate Jet Boat Tours Blog.